The Lego Movie 2 Theme song – This “Catchy Song” will get stuck inside your head! So, is the song stuck in your head now? Release date: February 8, 2019 (in theaters). “The much-anticipated sequel to the critically acclaimed, global box office phenomenon that started it all, ‘The LEGO Movie 2: The Second Part’, reunites the heroes of Bricksburg in an all new action-packed adventure to save their beloved city. It’s been five years since everything was awesome and the citizens are facing a huge new threat: LEGO DUPLO invaders from outer space, wrecking everything faster than they can rebuild. Once everything was awesome, now everything is bleak… So I guess it’s time to make this universe awesome again, one Lego brick at a time! Anyway, awesome movie sequel ahead! Released date: February 8, 2019 (nationwide in 2D and 3D). This sequel to the Lego movie looks like real a blast: I can’t wait to see the film! And you? The Lego Movie 2 The Second Part will hit theaters on February 8, 2019 (nationwide in 2D and 3D). Will we get to see who’s behind that space helmet? The first official movie trailer of The Lego Movie 2 will be released in the coming hours, so stay tuned with us! The voice cast includes Chris Pratt, Will Ferrell, Elizabeth Banks, Will Arnett, Nick Offerman, Alison Brie, Charlie Day, with Liam Neeson and Morgan Freeman. The release date of the movie The Lego Movie 2 The Second Part is set to February 8, 2019 (in theaters). We already told you that a sequel to The Lego movie was under works. And that Jared Stern and Michelle Morgan have been hired to pen a script. But we were wondering if Phil Lord and Christopher Miller would return to helm the sequel. Well, now we have confirmation that they won’t. Chris McKay is indeed taking over the director’s seat. Don’t worry, the chap is no newcomer to the world of Lego: he was animation co-director of the first Lego movie. I guess this means we may expect some continuity with the feel and the spirit of the first film. But the release date is still far off: the Lego Movie 2 is indeed set to hit theaters on May 26, 2017. So, much can still happen before then. Anyway, stay tuned with us for more information about the Lego Movie 2 as details emerge online. The Lego Movie, the 3D CG animated movie directed by Phil Lord and Christopher Miller, has been performing rather well in theaters: so far the film has already grossed $277 million for a $60 million production budget. So one can understand why the studios would want a sequel to the film. And there’s indeed a sequel to The Lego movie ahead of us. Warner Bros even announced an official release date: May 26, 2017. Jared Stern and Michelle Morgan have been hired to pen a script. 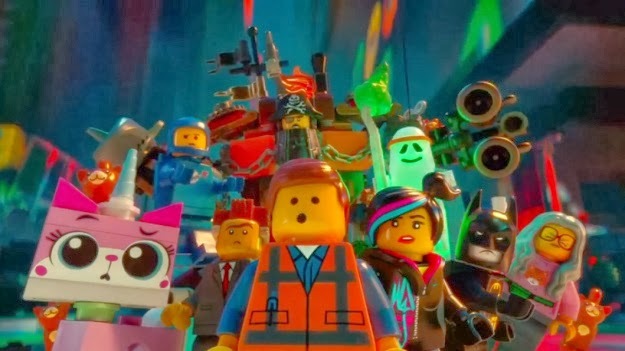 It’s not clear yet if Phil Lord and Christopher Miller will return to helm The Lego Movie 2. Anyway, do you have any suggestion regarding the plot of The Lego Movie 2? Share your thoughts with us!